Go farther than ever before in your journeys to other realities. Astral Projection and the Nature of Reality goes beyond preconceived notions about how to get out of the body and then back in, as well as the dimensions to which the out-of-body adventurer can travel. 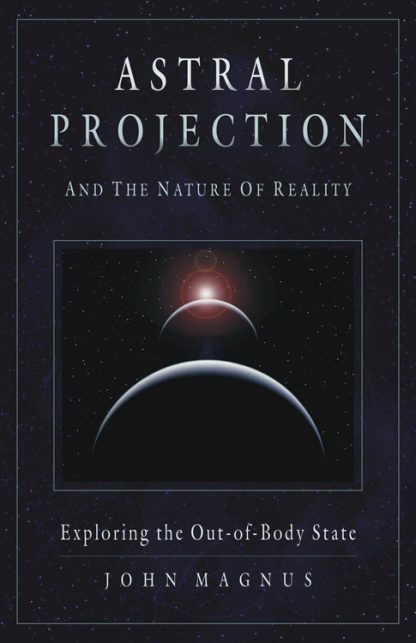 Magnus starts with a brief history of astral projection and then guides the reader through a step-by-step course for reliable projection. He explains how, once out-of-body, we create our own astral world, and he offers techniques for understanding our mind and the nature of reality. replenishing your energy...and much more. Plus, incisive journal entries of his many out-of-body adventures will convince you that it can be done and give you the inspiration to go farther than you ever thought possible. John Magnus is a software engineer and e-commerce entrepreneur, inter-dimensional traveler, writer, and musician originating from Halmstad, Sweden. Since his birth in 1977, John lived a quiet and dull life until he one day discovered the discipline of astral projection. This event aroused a fierce desire to understand the out-of-body phenomenon, and in conjunction, to understand physical reality. John has undertaken countless investigative expeditions into the astral and the findings are presented in Astral Projection and The Nature of Reality. Because of the commonly hard-to-digest nature of the unknown, the book is designed to gently guide the reader toward his own astral discoveries, rather than merely disclose opinions. In order to spread the knowledge of astral projection, John gives workshops on related subjects. To make reservations or to request more information, please visit john Magnus' website at www.johnmagnus.com John's physical body currently resides outside Boise, Idaho USA, with his wife Barbara the crystal-practicioner, Jazz the Dalmatian, and several cats.